The holidays are over and a new year is here. And, as always, with a new year comes a desire to create a “new you.” We’ll bet you’re fantastic just the way you are, BUT if you’re looking to make some improvements to your health, style, or home, we know just the spots. Lubbock is full of local shops and services that know how to make you feel great, look great, and get your life together (all the while providing some of the friendliest customer service around!). You can find all of these local businesses on Towny. With Towny, it’s easy to explore Lubbock, choose local, and get rewarded for doing so! P.S. – take Towny with you everywhere you go when you download the Towny app for your phone! If your New Year’s resolution is to eat healthier this year, Keva Juice is here to make things simple. Walk into this colorful shop and choose from smoothies, frozen yogurt, and fresh-squeezed juices all made with high-quality and nutritious ingredients. Who knew a sweet treat could be so good for you! With real fruit and non-fat options, eating healthy is a breeze at Keva Juice. Have a weight-loss goal for the new year? Shedding a few pounds can be a challenge, but with California Medical Weight Management there’s no need to stress. The expert medical staff provides a highly effective, medically-supervised weight management system that will help you control your appetite, reach your ideal weight, and experience long-term success while maintaining your weight. It’s not always easy to work up the motivation to hit the gym. But guess what, the gym isn’t the only way to get in shape. Take a fitness class at ArtFit and watch as getting exercise becomes an enjoyable pastime. Art Fit offers classes such as martial arts, dance, aerial, and other classes that provide physical wellness and personal enrichment. Want a fresh look to start off this new season? Eclectic People Salon is the place to go! Just as the name says, this salon is known for eclectic and unique styles that help their clients look and feel like their best self. Eclectic People focuses on giving you a customized experience while also focusing on the health of your hair. What more could you ask for in a salon? If you never got around to decorating your home, the beginning of the year is a great time to start! 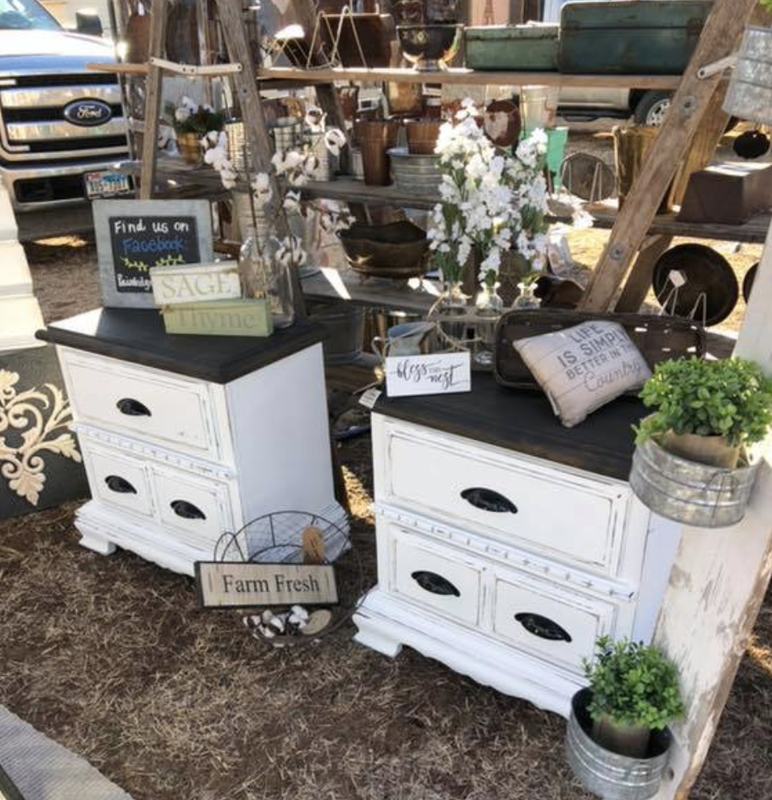 Find the trendiest interior decor at Wild West Vintage Decor – the home decor spot with fabulous vintage finds, rustic “farmtiques”, and all sorts of furniture and home accessories that you won’t find anywhere else. Not only will you score great finds, but you’ll have a blast browsing the endless rows of items and conversing with the friendly staff. Alright, ladies, ready to get your wardrobe together this year? Luckily, Hulla B’Lu is in Lubbock, and they’ve got the latest and greatest in women’s clothing + accessories. There’s something for every woman at Hulla B’Lu from clothing + jewelry for a special night out to mugs + candles which make perfect gifts. A new year equals a fresh start. Give your home the fresh start it needs with the repairs and maintenance you put off last year. If you need glass repaired or replaced around the house or in your car, Glass Doctor is your simple solution. They are one of Lubbock’s most-trusted services when it comes to anything glass-related, from replacing a windowpane to installing custom mirrors. When the lawn is struggling or pests are making an unwanted appearance, Chem Pros is there to take care of business. These specialists provide expert weed control, fertilization, insect control, and other landscape and pest services. Don’t wait! Call now to schedule an appointment as they book up quickly. Your car wants to start the new year right just as much as you do. Take your car to Grease Monkey for a routine oil change, maintenance, or repairs. 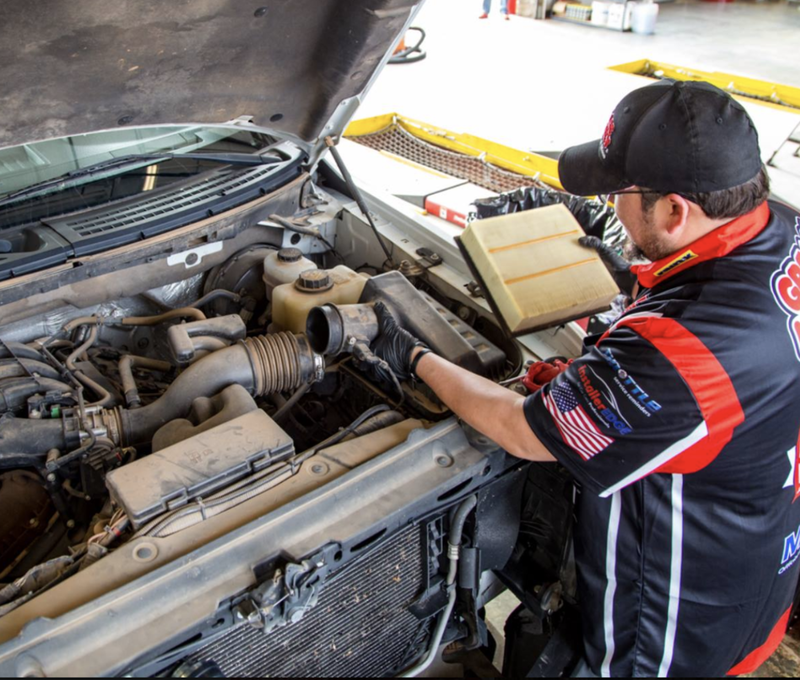 The experts at Grease Monkey are known for quality and efficient service so you can have ease-of-mind while driving your car. Bring your car in for a service so you can drive into the new year with confidence. Need to mail thank you cards after the holidays or return that fruit-cake scented bath oil you got for Christmas? Package Plus was there for your pre-holiday needs, and they’re there for you now! Package Plus is the local packing supply store that not only ships your packages, but also provides gift wrapping and even gift items in-store. Maybe you gave yourself a new look for the new year, but have you considered sprucing up your car as well? Paint Doctor offers complete body and paint services for your car with technicians who can come to you. If you’ve been neglecting those scratches and dents on your car, the new year is the perfect time to take care of that! Hey, you’ve worked hard on those New Year’s resolutions. Now it’s time to sit back, relax, and have a drink. Grab a margarita, martini, or another classic drink from the full bar at Aspen Creek Grill, and enjoy a tasty meal. They’ve got all of your comfort food favorites as well as sweet and satisfying desserts. Come by for an amazing time in a welcoming atmosphere. New year, new you doesn’t mean you have to be so hard on yourself! 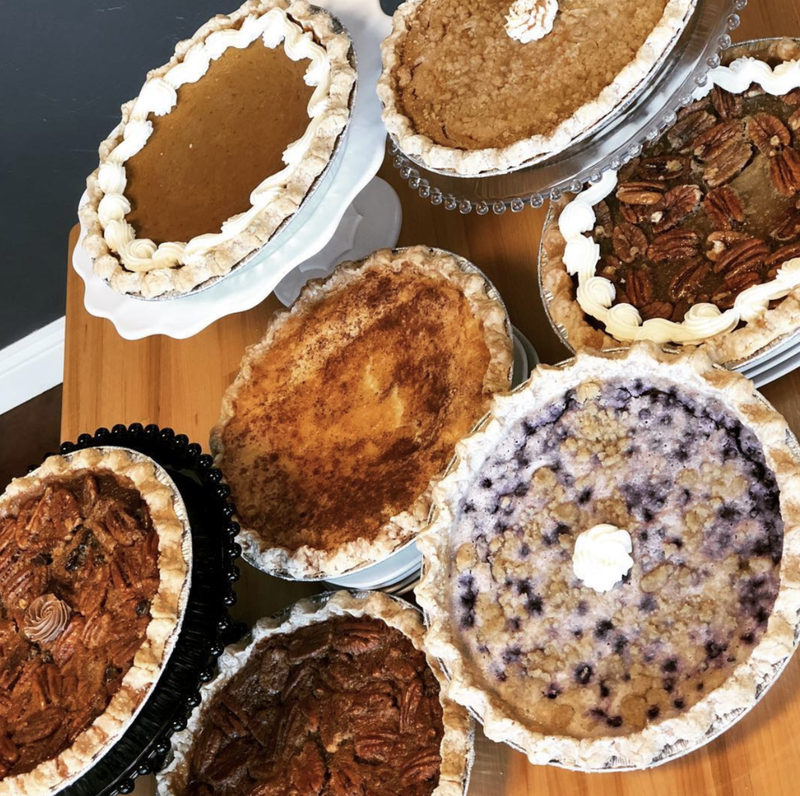 Grab something sweet from Simply Decadent Bakery and treat yourself. Choose from delicious dessert items like cupcakes, cookies, macarons, lemon bars, and so much more to make that sweet tooth happy. Let’s toast to a good year ahead. Enjoy a specialty cocktail or craft beer at E & J Smokehouse and say cheers. In addition to a fantastic drink selection, you’ll also want to eat some of the crazy-good barbecue that owner and chef Jason Waters has been perfecting for years. Find all of these local Lubbock spots (+ so much more!) on Towny. With Towny, you’re helping to build a robust Lubbock economy, support your neighbors, and you’re getting rewarded for doing so!